The past year has seen the entertainment industry shaken up and exposed like it never has been before, and the impact can be felt more clearly than ever as award season heats up in Hollywood. Most notable were the allegations against Harvey Weinstein and the subsequent #MeToo campaign that culminated in TIME magazine naming ‘The Silence Breakers’ as their Person of the Year. With the Golden Globes having wrapped on the 8th of January and Academy Awards approaching on the 4th of March, the industry’s handling and reaction of the corruption, abuse, sexism, and misogyny within Hollywood is at the forefront of discussion this awards season. The first allegation of sexual misconduct against Harvey Weinstein, the Hollywood producer and founder of entertainment company Miramax, occurred on the 5th October when the New York Times published an article outlining decades of abuse and corruption. Rose McGowan and Ashley Judd were among the two actresses to come forward, with more than 60 women coming forward since, including Angelina Jolie, Gwyneth Paltrow, Salma Hayek and many more, reporting allegations of sexual abuse and misconduct against Weinstein. Since Weinstein, the entertainment industry has experienced a tidal wave of accusations against various producers, actors, comedians and television personality, the most high-profile of these being Anthony Rapp’s accusation against Kevin Spacey for sexual advances towards him when he was 14. Spacey then came out as a gay man on Twitter in an attempt to steer the conversation away from the allegation. Five women also accused Louis C.K of sexual misconduct and masturbating in front of them, who responded with “These stories are true…I have been remorseful of my actions.” Light was also shed on male survivors of sexual abuse, such as Terry Crews who accused WME agent Adam Venit of sexual assault, highlighting the way black men often remain silent victims due to notions of black male hypermasculinity and the overwhelming power imbalance and racial disparity in the entertainment industry. Many more accusations of sexual misconduct and abuse has come out against over 50 high profile men in the United States, and even at home in Australia with actor Geoffrey Rush denying allegations of inappropriate behaviour during a Sydney Theatre Company production of King Lear. More recently, Craig McLachlan, of the Doctor Blake Mysteries series, has been accused of sexual harassment and inappropriate behaviour by three women and a man during the 2014 tour of The Rocky Horror Picture Show. McLachlan has denied all allegations and stepped down from his current role in the Rocky Horror Picture Show tour, the ABC has also cut all ties with the Doctor Blake Mysteries, and production has halted on the new season. It wasn’t just the entertainment history where sexual harassment and assault allegations have come out. Countless United State politicians, at both a state and federal level have been accused of sexual abuse and misconduct, from Al Franken (U.S senator for Minnesota), to Stephen Bittel (Florida Chairman of the Democrat Party). December of 2017 saw Roy Moore, accused of sexual assault and misconduct of minors, running for the US senate in Alabama, with the backing of Donald Trump. Moore’s loss to Doug Jones was hailed as a watershed moment in political history, with Alabama having always been a safe Republican seat, although with Trump and countless other accused of sexual abusers in office still, only time will tell the impact Moore’s loss will have. The various allegations of sexual harassment, abuse, and inappropriate behaviour led to an online movement to bring to light the depth of sexual abuse in all industries across the world. 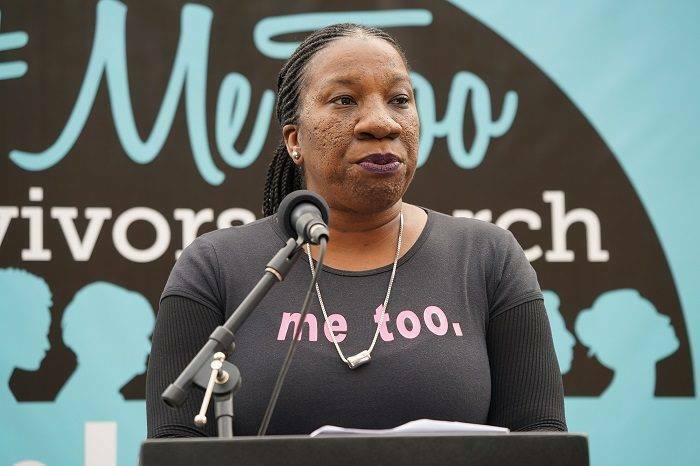 The movement, named #MeToo, first coined by Tarana Burke in 2007 to promote “empowerment through empathy” for women of colour who have experienced sexual abuse, started trending after Alyssa Milano first tweeted that “if you’ve been sexually harassed or assaulted write ‘me too’ as a reply to this tweet”. The hashtag began to grow and so did the scope and magnitude of sexual abuse and harassment allegations, not just in Hollywood but in every industry, from film to music, to science to sports, making it clear that Weinstein and his counterparts’ behaviour wasn’t uncommon. Nearly every woman has her own story of a time when they experienced sexual abuse, misconduct or just inappropriate behaviour. The final few months of 2017 were filled with people from all walks of life telling their own personal horror stories, whether that be from getting catcalled on the streets, strange men making sexual advances towards them, people they know abusing and assaulting them, or lewd comments in workplaces, along with many more examples. For every story emerging of sexual abuse and misconduct there were words and support of solidarity and support for the victims, and words of anger, disgust and condemnation of Weinstein. However, as more celebrities spoke out against abuse and corruption, it became clear that Weinstein’s actions weren’t a shock. If anything, Hollywood was waiting for the moment that his actions would be exposed. Quentin Tarantino said that he “knew enough to do more than he did”, and JJ Abrams said that he doubted that Weinstein was “a lone operator”. Emma Thompson also spoke out, describing Weinstein as a “predatory man” and that she was pleased that the story had come out. The past few months have been filled with various reports, campaigns and shows of solidarity, with TIME magazine naming Taylor Swift, Ashley Judd, Susan Fowler, Selma Blair, Alyssa Milano, Tarana Burke (pictured below), Terry Crews and more as ‘The Silence Breakers’ who spoke out against abuse and misconduct. The most recent activist movement is Time’s Up which aims to promote equality and safety within the workplace through legislation, corporate policy, hiring practices and resources. An open letter on their website states, “We want all survivors of sexual harassment, everywhere, to be heard, to be believed, and to know that accountability is possible.” The campaign was sparked by a letter of solidarity published in Time in the lead up to “The Take Back the Workplace” march in Los Angeles, by the Alianza Nacional de Campesinas, which comprises current and former farmworker women. In response, the Time’s Up campaign was spearheaded by the likes of Viola Davis, Reese Witherspoon, Shonda Rhimes and 300 more women in the entertainment industry on Monday the 1st of January and has already raised more than $16 million (US) from more than 200 donors. Time’s Up also encouraged women attending the Golden Globes to dress up in black attire, with Sarah Jessica Parker, Justin Timberlake, and many more posting photos of them captioned #WhyWeWearBlack, in protest of sexual abuse and corruption in the entertainment industry. Furthermore, white celebrities Laura Dern, Amy Poehler, Susan Sarandon, Meryl Streep, Emma Stone, Emma Watson, Michelle Williams, and Shailene Woodley extended their political statements by bringing several female activists of colour as their dates to the event including Tarana Burke and Ai-jen Poo. While this was an effort to shed more light upon the activists doing the grassroots work required to affect change, it appeared to be little more than tokenism, with affluent white women replacing their usual accessories with brown and black bodies instead. It was a chilling and emotional speech by an amazing woman that was received with a standing ovation. However, the standing ovation, the #WhyWeWearBlack, and the various other social media movements that have occurred due to the Weinstein scandal can’t help but fall a little flat. For all the celebrities that have been condemned for their allegations of abuse and misconduct, many more are still able to work and be praised in Hollywood. Johnny Depp faced very little backlash for his allegations of domestic abuse towards Amber Heard and is starring in a prominent role in the new Fantastic Beasts franchise, with the support of author JK Rowling. Woody Allen is still able to work without impunity despite allegations of him sexually abusing his adopted daughter Dylan Farrow, and many actors and actresses who spoke out against Weinstein and the sexual assault allegations in Hollywood, have worked with and supported Allen in the past, including Kate Winslet, Blake Lively, Kristen Stewart, and Scarlett Johansson. Even Justin Timberlake, who wore black to the Globes, has worked with Allen in the past. Farrow has since called out various Hollywood celebrities and the Time’s Up movement for its blind spot for Woody Allen, saying “The system worked for Harvey Weinstein. It works for Woody Allen still.” Notably, actress Greta Gerwig has since retracted her support of Allen, saying “I have not worked for him again, and I will not work for him again.” Rose McGowan also called out Hollywood’s hypocrisy regarding sexual assault in a now deleted tweet, “YOUR SILENCE is THE problem. You’ll accept a fake award breathlessly & affect no real change. I despise your hypocrisy. Maybe you should all wear Marchesa,” referencing the fashion line co-founded by Weinstein’s estranged wife Georgina Chapman. Of course, despite McGowan’s incessant calling out of abusers in Hollywood, it is also worth noting her particular brand of white feminism once also tweeted out a false equivalence between white women and the n slur. The Golden Globes wasn’t the first instance of celebrities have shown their support of a social cause. For example, many wore blue ACLU ribbons to the Oscars last year. However, this cause hits a lot closer to home, and celebrities should be doing more to stamp out sexual abuse and misconduct in the industry. Performative allyship is everywhere, especially in Hollywood, from companies sticking rainbows on everything in support of LGBT+ rights and marriage equality, to industries tweeting out #BlackLivesMatter yet being disproportionately white dominated. Anyone remember the #OscarsSoWhite hashtag from last year? People will cheer for those that speak out against sexual abuse, but also on the same night nominate films such as “Call Me By Your Name” that involves a relationship between a 17 and a 24 year old. And no, it being gay doesn’t make it any better. They’ll wear black in protest of sexual abuse but still work with and defend sexual predators and abusers. They’ll even clap for sexual and domestic abusers who win awards on the very same night such as James Franco and Gary Oldman. Seeing the amount of people who came out and said that they were aware of Weinstein’s actions, no matter to what degree, but only speak out about it after the victims had broken their silences doesn’t have the same effect as it would have if they’d spoken out when they first became aware. If they really cared about stamping out sexual abuse and corruption in Hollywood they would have said something a lot sooner. It makes it hard to look up to these celebrities as role models and activists when they only speak out when it benefits them. Activism is about speaking out no matter what, about talking for those who are silenced and giving the disenfranchised a platform to tell their stories; it shouldn’t be for when it most benefits someone personally or because everybody else is doing it. How can you not wear black when you’ll be labelled a supporter of sexual abuse if you don’t? Enjoy this awards season, support your favourite films and actors, celebrate people’s accomplishments and cheer when people such as Oprah stand up and speak out for victims. But remember that Hollywood needs to do better, and that we as consumers need to do better by not supporting movies, television and music made by these powerful people who continue to abuse, demean and take advantage of others for their own gain. Time’s Up is a start, and hopefully it’ll do good work for those who most need it, and Hollywood should continue to name and shame sexual predators and abusers, but we can’t be selective about who we choose to punish. If the last months have shown us anything it’s that sexism, misogyny and abuse is systemic and widespread in all industries, so we must be thorough, consistent and committed in calling it out and holding those accountable.